HomeBlogFashion & StyleDior Chiffre Rouge T01 Wrist Watch. 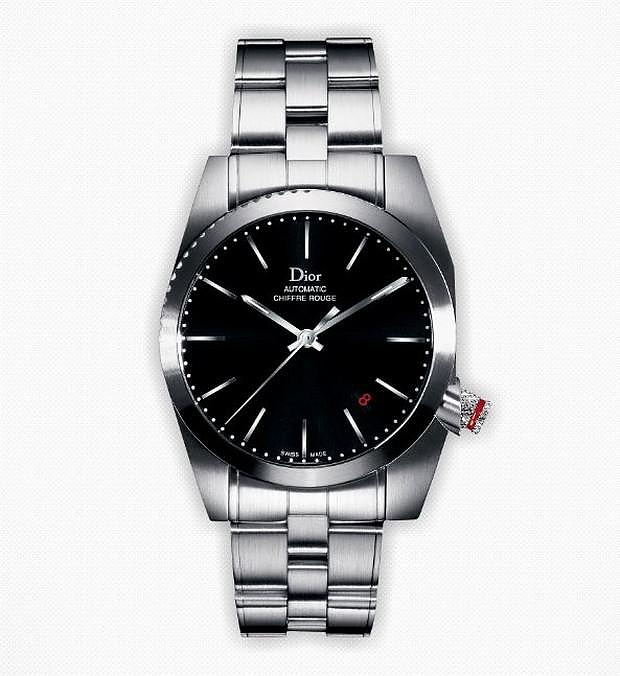 Dior Chiffre Rouge T01 Wrist Watch. The Chiffre Rouge was first presented in 2005 and was included in the Dior Homme series, the Avant Garde series for men by Christian Dior. It was a creation of Hedi Slimane (artistic director at the time) and got accepted with enthusiasm with its strict geometric aesthetics, and the deviation caused by the small red detail. Within 5 years, the Chiffre Rouge had more versions with small changes to the design and color, but this August the limited edition Chiffre Rouge T01 was presented. The changes are radical, and truly evolve the concept of the infamous Chiffre Rouge’s line. T01 design is imposing and at the same time modern. It manages to differ and at the same time remain elegant and discrete. The Chiffre Rouge T01 shows the time and sunshine of 8 different countries worldwide and its mechanism uses the kinetic power of the user. Do not look for the hour index: it is the red circle that rotates together with the watch’s face. 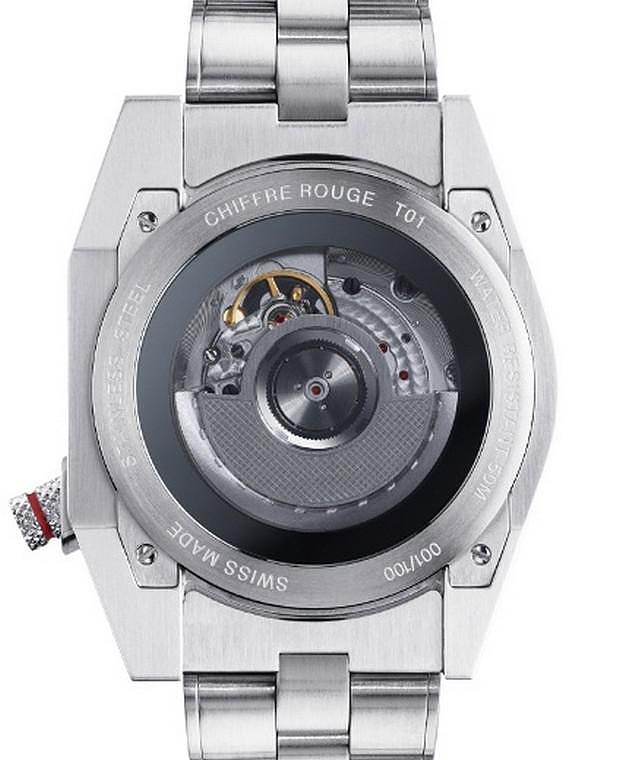 The internal mechanism that Chiffre Rouge T01 uses is called “Dior 8 Fuseaux Horaires” designed by Franck Orny and Johnny Girardin. These two have also designed exceptional masterpieces, like the “Montblanc Metamorphosis”chronograph. The evolution of the mechanism was designed from blank page and is, for now, exclusively used at T01. 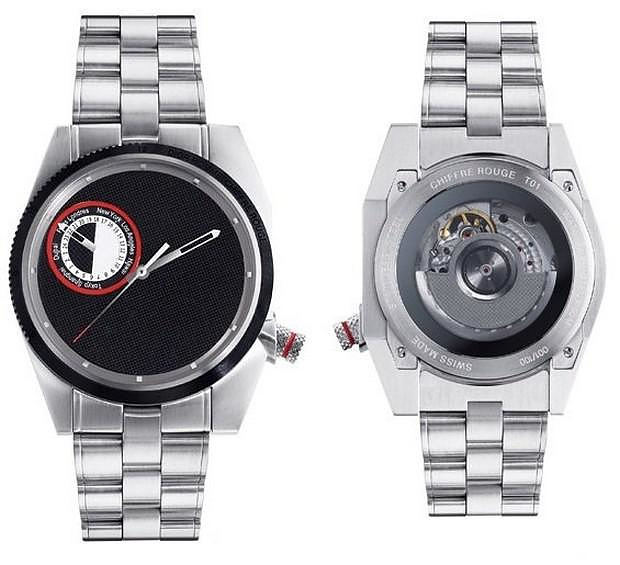 The Chiffre Rouge T01 is available at Dior’s Boutiques. In the last picture you can see as a point of reference the first watch of the Chiffre Rouge series, the Chiffre Rouge A03 of 2005, that is still in production and I believe it is the most elegant of the series. The A03 uses a movement mechanism “El Primero” by Zenith which in contrast with the “simple” mechanisms that most fashion houses apply to their watches, is an exceptional mechanism, with the best time accuracy for its price range. Στην τελευταία φωτογραφία του άρθρου μπορείτε να δείτε ως σημείο αναφοράς και το πρώτο ρολόι της σειράς Chiffre Rouge το Α03 του 2005, το οποίο είναι ακόμη σε παραγωγή και προσωπικά θεωρώ το κομψότερο ρολόι της σειράς. Το Α03 χρησιμοποιεί μηχανισμό κίνησης “El Primero” της Zenith ο οποίος αντίθετα με τους “απλοϊκούς” μηχανισμούς που χρησιμοποιούν συνήθως τα ρολόγια “οίκων μόδας” είναι ένας εξαιρετικός μηχανισμός με την μεγαλύτερη ίσως ακρίβεια μέτρησης χρόνου στην κατηγορία τιμής του. Autodromo Vallelunga Chronograph, racing inspired timepiece. HM4 Thunderbolt Wrist Watch by MB&F.